because he hears a different drummer. Before I start to talk about this biography titled Steve Jobs, I think that is is very important that I talk about the writer of this book, Walter Isaacson. 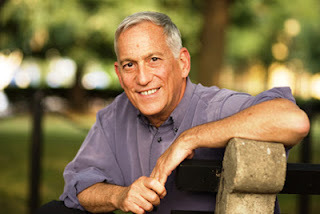 Steve Jobs asked Walter Isaacson to write his biography to tell his story to his children. And after reading this book, I know that Jobs only works with people whom he consider to be the very best, and Walter is a gifted storyteller. He tells the story of Steve Jobs in a manner that is completely captivating. I must admit that this quite lengthy book was on my mind quite a bit until I finished it. I spent many nights, while extremely sleepy, trying to read one more page. This biography is quite thought provoking. You know how most people are raised to be nice and respectful, to think about the feelings of others, be assertive but with caution, have empathy, and all of those other good qualities that many of us think helps to make us great people. 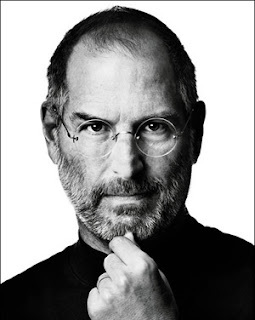 Well, Steve Jobs was painted in this book as having none of those qualities. He was a genius who realized at an early age that he was much smarter than his adopted father, whom he thought was quite intelligent, and this revelation seemed to cause Jobs to turn into a very cocky, strong-willed guy. Other factors such as being given up by his biological parents seemed to cause Jobs to lack empathy, be self-centered, and really have attachment issues. From reading this book, it appears that he had no one, outside of perhaps his wife and son, Reed, whom he called friend. People respected him, but I am not sure if many called him friend. 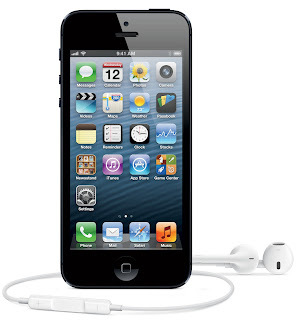 The iphone: a dream that became reality! You know what else makes this book so intriguing? The only thing that I felt was left out of his book is how did Jobs' wife, Laurene, lived with a man who was mercurial? Also, I would have love to hear more about what his children thought about him and his impact on their lives. Other than those few things, it seems like Isaacson basically summed up Steve Jobs' life, which happened to be his career, and leaves the reader loving him, and at the same time, wondering about his complexity. My next read is Eugene Onegin by Alexander Pushkin. I am also Iooking forward to reading this book! Thanks for sharing!! Carole, I'm definitely planning to read other books by Walter.